Black and gold are the collegiate colors of Purdue University. In my family, the Boilermaker logo is near and dear to our hearts. Currently, we have three children attending the University. Whenever possible, we proudly wear the Boiler colors. Our closets and drawers are filled with black and gold sweatshirts, pants, jackets, and tops. Our cabinets are filled with Boilermaker plates, glasses, mugs, and platters. Over the years, we’ve purchased Purdue fleece blankets, sheets, and soft plush pillows to decorate dorm rooms. 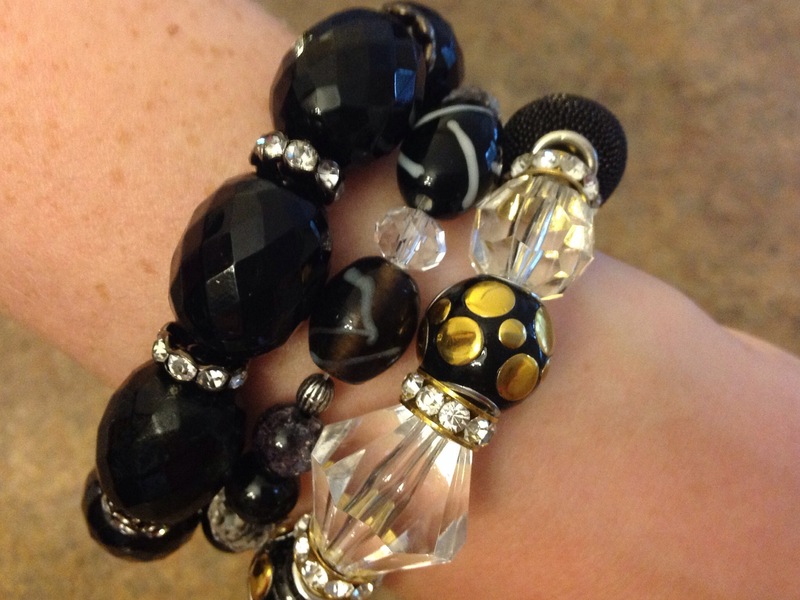 While shopping last week, I spotted some great beads in the craft section of our local discount store and I thought it might be fun to glitz up my jewelry selection with a few black and gold bracelets for our next team event. I am certainly not a skilled jewelry maker so this project is incredibly quick and easy and you can use any combination of colors to tailor the bracelet to satisfy your needs. Elastic cord is used to assemble the bracelet so very few supplies are needed. 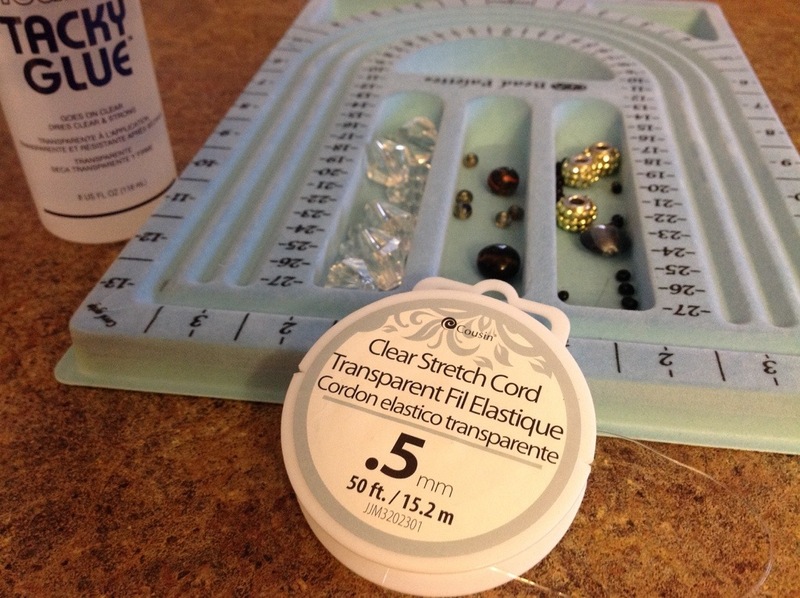 This is quite a simple and inexpensive project so next time you’re in the craft aisle, take a look at the bead selection. You might be quite pleased and surprised at the unique variety of colored beads you can assemble on a clear cord to recognize and celebrate your favorite team. 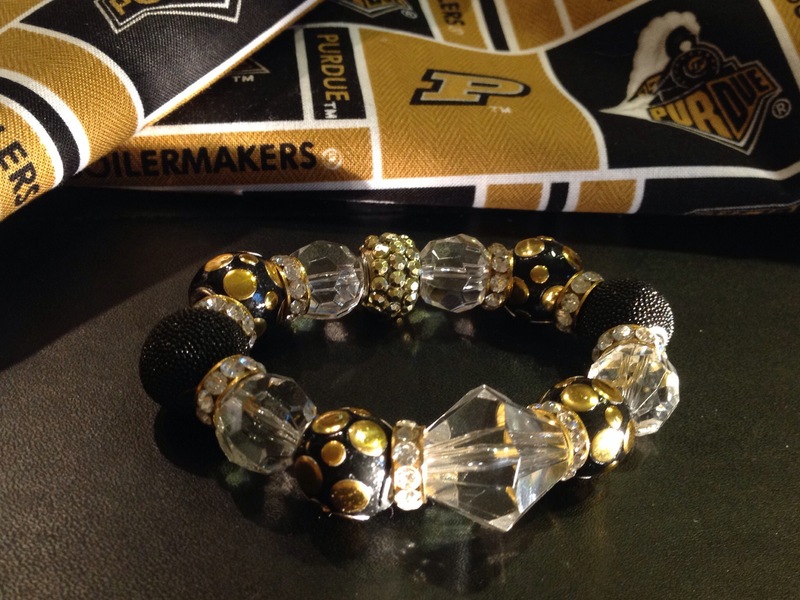 I’m lovin’ that black and gold… BOILER UP! Measure and cut a 7″ piece of clear stretch cord. Fold a piece of tape across one end of the cord (to keep beads from falling while assembling). 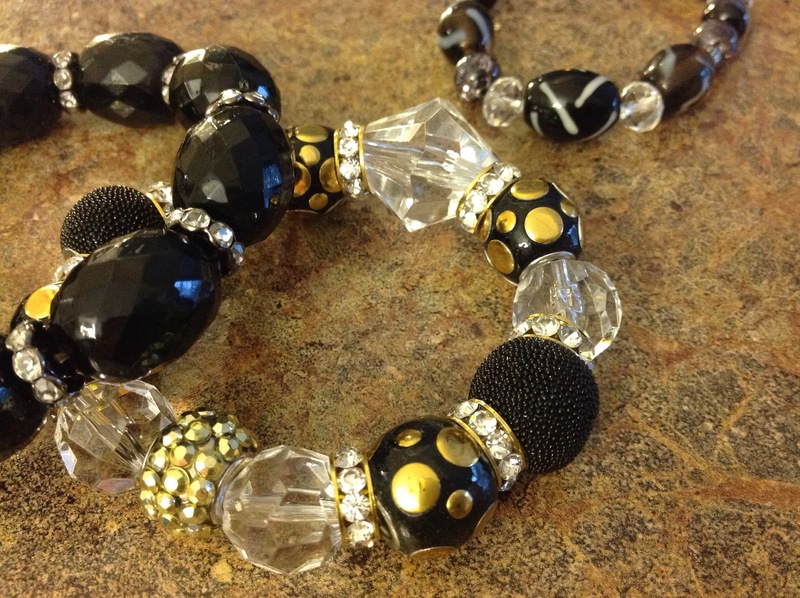 Arrange beads, as desired and string them onto the clear cord. Test the length around your wrist so that beads are evenly dispersed and the cord is completely filled when stretched around wrist. Carefully, tie the bracelet with a double knot, securing beads. Place a small dot of tacky glue on the knot, covering knot completely, let dry. Tuck the knot under a bead to keep it hidden.